Russia and China have vetoed the latest UN Security Council resolution on the ongoing violence in Syria because it leaves out sanctions on the opposition alongside those on the Assad government, and leaves out Russian proposals. Moscow says it had no other option but use its veto right, claiming the draft didn't realistically reflect the situation in Syria, and a result could have sent an unbalanced signal to all sides of the conflict. 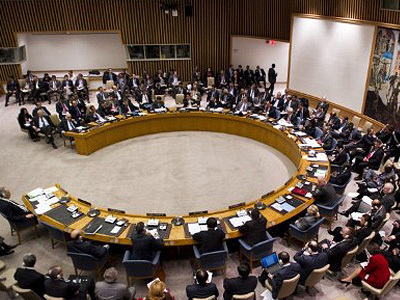 “The Russian delegation was forced to vote against this draft resolution. 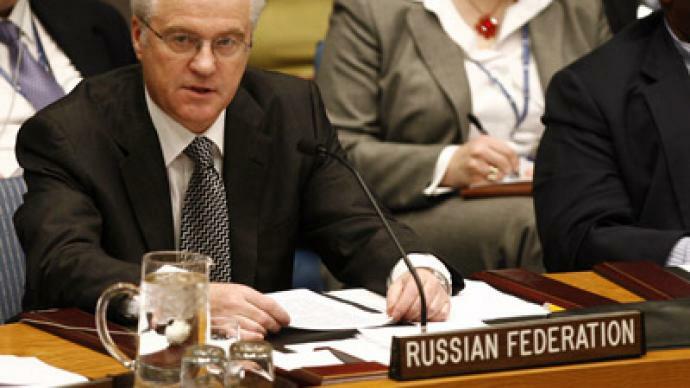 We seriously regret this outcome of our joint work,” stated Russian UN Ambassador Vitaly Churkin. Russia and China were the only voting members to oppose the draft. 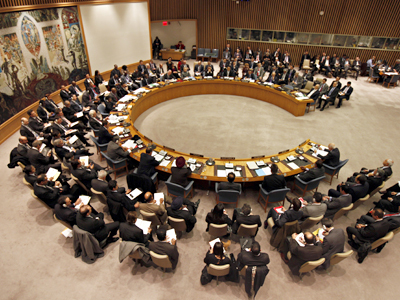 And as permanent members of the UNSC, they had the option to use veto power to block the draft's passage. Beijing and Moscow have both taken issue with the draft's vague wording, which they say leaves the door open for possible international military intervention in Syria and creates a picture of the current situation that favors opposition forces over the Assad government. American Ambassador Susan Rice told the Security Council following the vote that the US was “disgusted” at Russia and China’s decision to go against the resolution. US Secretary of State Hillary Clinton also warned that more blood would be shed in Syria if a resolution was not reached soon. “Unfortunately, some of our colleagues choose to make rather bizarre interpretations of the Russian proposals,” the Russian UN Ambassador said. Churkin said the Russian delegation has been accused of rewriting the Arab League texts adopted months ago in the Security Council. “Indeed, they were adopted months ago and since that time the situation has evolved,” he said, pointing out that Syrian rebels used previous withdrawals of the Syrian troops to their benefit, occupying cities during cease-fires. Russia and China reminded others that it was not their place to intervene in another country's domestic affairs. Russian Foreign Minister Sergey Lavrov told an audience at the Munich Security Conference that there are too few demands being placed on Syria's armed opposition, and that the resolution could affect the outcome of political dialogue between the conflicting sides. Lavrov is set to visit the Syrian capital next Tuesday to conduct talks with President Bashar al-Assad. Instead, Mohamad says, the problem lies between opposing parts of Syrian society – and has nothing to do with Assad's removal. 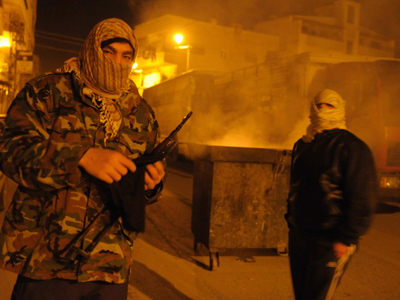 The vote came after the latest reports of government crackdowns on the western city of Homs on Friday in which an estimated 200 hundred people were killed, with eyewitness testimony of tanks and heavy artillery. 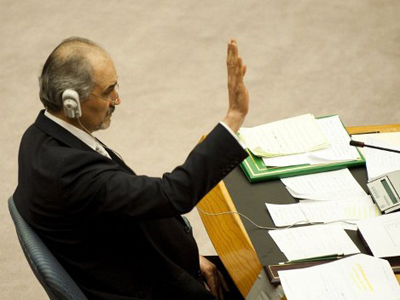 The Syrian government denied involvement, dismissing the claims as an attempt to drum up international support for the draft resolution.